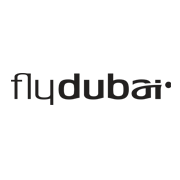 Aviation Updates Philippines - On behalf of everyone at flydubai, I would like to express the devastation we all feel in relation to this morning’s tragic events in Rostov-on-Don. Our primary concern is for the passengers and crew involved at this tragic time. Everyone in our company is in deep shock and our hearts go out to all loved ones of those involved. We are still in the process of gathering all the information we possibly can, but at this stage I will share the facts that we are able to confirm now. At 00.50GMT today flydubai flight FZ981 crashed at Rostov-on-Don and I am very sorry to say that we believe that there are no survivors. Onboard the aircraft, 55 passengers including 33 women, 18 men and 4 children and 7 crew members of whom 5 were male and 2 were female. The nationalities of the passengers included 44 Russians, 8 Ukrainians, 2 Indians and 1 Uzbekistani. I am personally leading our accident response with the support of the full management team. At this stage the focus of our efforts is on establishing the facts around the incident and providing all possible support to the authorities. As I speak members of our team are contacting relatives of the passengers and crew who were on board and we are offering any help we can to those affected. In addition, we have activated our Emergency Response Team who are on their way now to the site. We do not yet know all the details of the incident but we are working closely with the authorities to establish precisely what happened. We are making every effort to care for those affected and will provide assistance to the families and friends of those who were on board. Finally, I would like to say once more how deeply we feel for those affected by this tragedy.